DJ phonograph cartridge for house and techno music captures deep drop bass to exceptionally clear mid and high frequencies. 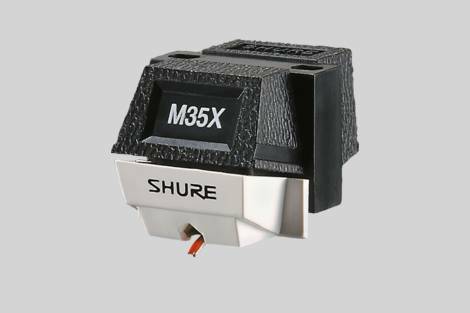 The M35X's versatile Shure Type I medium-diameter cantilever can stand up to continuous, demanding use, yet it is compliant enough to trace signal modulations as small as a millionth of an inch. With a tracking force range of 1.5 to 3 grams, the M35X provides considerable skip resistance. What type of music is this cartridge suited to? The M35X is ideal for use in House/Techno environments, bringing the music alive by capturing every nuance of a recording, from deep drop bass to exceptionally clear mid and high frequencies. 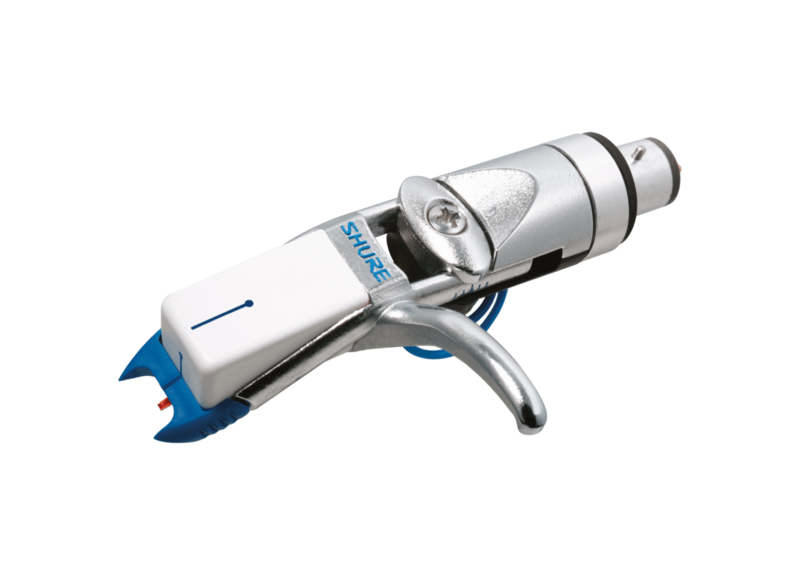 The cartridge’s low record wear helps DJs preserve hard to replace vinyl, while its high skip resistance serves as a safeguard against the hazards of back-cueing. What does the M35X include? The M35X includes the cartridge and one stylus, as well as an accessory pack that features an extra set of Headshell wires, stylus cleaning brush, a headshell weight, stylus guard and mounting hardware. It does not include a headshell so one will need to be provided in order to connect the cartridge to your turntable.